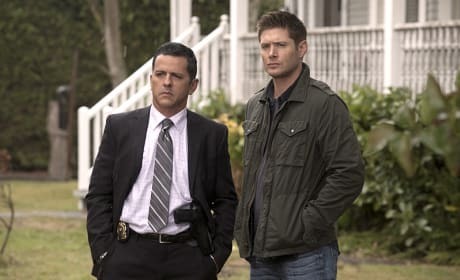 Sam and Dean will be brothers fighting to save people and hunt things to the bitter end. And it's good to see that among all the hunts and the battle with the Darkness, the two can have a solid sit down and just be brothers. 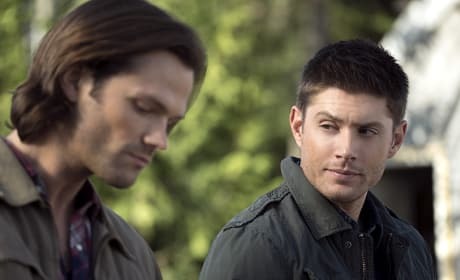 The Winchester brothers are definitely having a serious conversation. 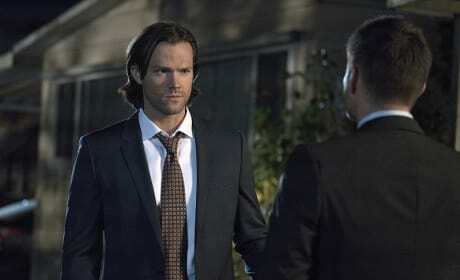 Maybe Dean has told Sam about his connection with the Darkness. Maybe the two have come up with a plan to even stop it. Or maybe they just can't decide where to get lunch next. Now that is a beautiful view. 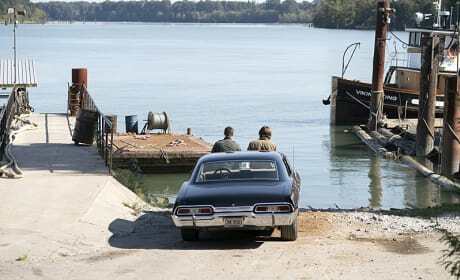 No, not just the Winchester brothers having their bro moment, but that peaceful water scene. No underwater ghosts though, hopefully. 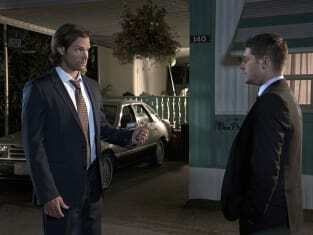 After a hard days work and a successful hunt, Sam and Dean are ready to have a brotherly chat. It's time to get real, bros! 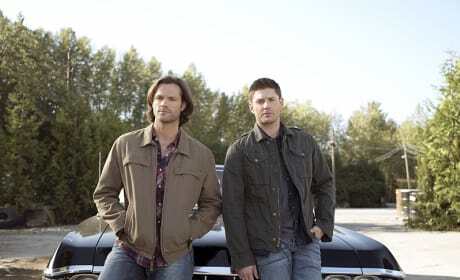 The Winchester brothers look badass in the Impala. They are definitely headed out to take down the latest baddie. But are they planning on listening to "Night Moves" on the way? 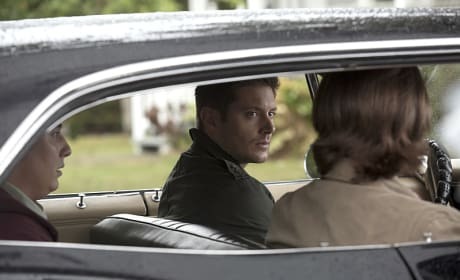 Sam and Dean, don't look now, but you've got someone hanging out in the backseat of the Impala! This guy is either their latest monster or the one who's going to lead them to it. 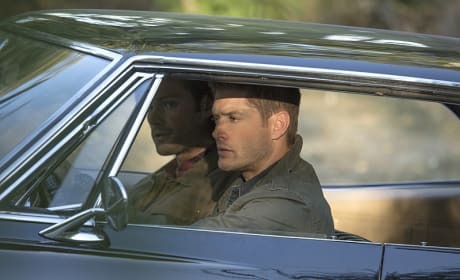 But will he be correcting Dean's driving the whole time? 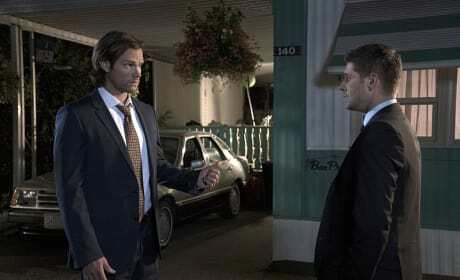 So what snarky or witty comment is Dean going to say during this moment? It looks like he and Sam have worked with the police on their latest case, or maybe they are just getting the first info before they really dive in. Is that a mini-Sam being led away by the police? 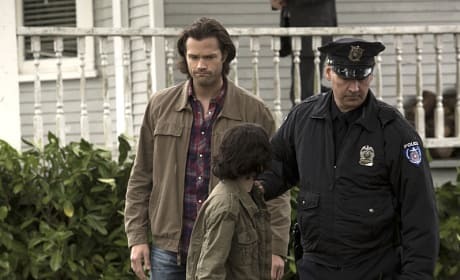 Sam doesn't look happy by the situation, but that's maybe because his new best friend is in some serious trouble. 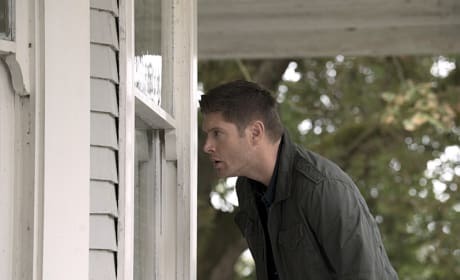 Sam and Dean really want inside that house, huh? Good thing Sam is on lookout, but he appears to be pretty nervous that someone might catch them. Let's hope not! Sam looks like he's unsure of some plan that he and Dean have been working out. Or maybe he's having another vision? Either way, the brothers really know how to pull off wearing those suits. 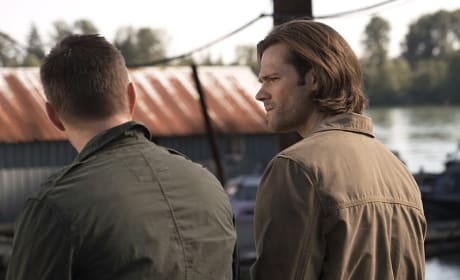 Sam and Dean are on the latest case, and you can be sure they've got some great classic rock FBI agent names to use, too. The brothers look to be crafting some plan, but is it to take on the Darkness or the monster of the week?